Believe it or not, but the best safeguards against the threats of tooth decay, gingivitis or periodontal diseases are the simple things: daily brushing and flossing and visiting your dentist regularly. Cleaning your teeth helps lower the risk of tooth decay, plaque and gingivitis. At routine dental checkups, a hygienist will remove plaque through scaling, polishing and cleaning, as well as the application of fluoride. All of this is done to make your teeth more resistant to tooth decay. We also provide oral education to our parents on proper brushing and flossing techniques and good oral hygiene. Oral cancer is the abnormal growth of cells inside the mouth, and affects areas such as the lips, gums, cheeks and throat. One of the most common cancers in the world, oral cancer is often difficult to diagnose or detect until it is too late. The symptoms of oral cancer in its early stages often are benign and are similar to symptoms of other minor conditions. Dentists must carefully and thoroughly screen patients during routine checkups. During routine checkups, your dentist will screen for risk factors, with the help of x-rays, cancer biopsies, visual and in-depth screenings, and a thorough evaluation of your medical history and dental health. These methods help dentists identify any hidden abnormalities, lesions, red patches, sores or lumps. 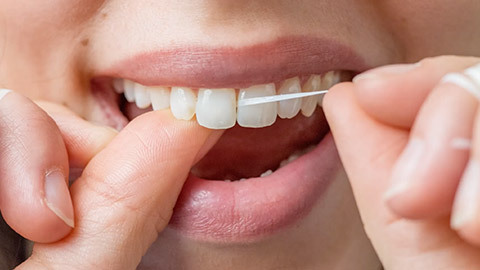 Maintaining consistent oral care through daily brushing and flossing, and visiting your dentist for routine cleanings and checkups are the best preventative measures against oral diseases. If you need more information about Oral Hygiene/Cleaning in Etobicoke, contact us today.